2014 Yaldara Ruban McLaren Vale is dark cherry red with purple hues with a bouquet of mulberry and dark cherry fruit waft from the glass. Mocha and sweet spice undertones adds complexity and intrigue. The intense fruit flavors continue through the palate with some complex chocolate, earth and liquorice notes. The tannins are soft, silky and well integrated. The purity of the Shiraz grape is highlighted due to the minimal use of oak allowing the essence of the fruit to be tasted. This is a wine offering excellent immediate drinking with some cellar potential in the short term. 2014 Vintage was cool for the majority of the vintage duration with a short heat spell early in ripening being the only change. This resulted in earlier ripening and slightly below average crop levels. The wines produced from this vintage are elegant with lovely structure and clean fruit flavour, accompanied by soft tannins from the milder conditions. 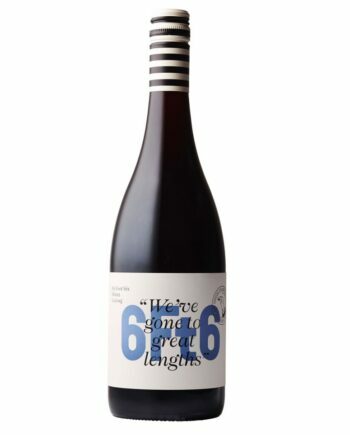 The grapes for this wine are selected from respected vineyards in the McLaren Vale wine region, South of Adelaide. The fruit was picked when the fruit flavors and tannin profile were at their optimum to produce rich and silky wines. The berries were harvested in the cool of the morning to retain fruit flavor and transported direct to the winery for crushing into fermenters. Here the yeast was added and for the next 7 days the fermenting must was pumped over twice daily to extract flavor, color and tannins. Gentle pressing followed, before the wine underwent its maturation process before bottling. This wine is bottled young with minimal oak treatment to preserve all the pure fruit flavors in the berry. BOUQUET: The Mulberry and dark cherry fruit waft from the glass. Mocha and sweet spice undertones adds complexity and intrigue. PALATE: The intense fruit flavors continue through the palate with some complex chocolate, earth and liquorice notes. The tannins are soft, silky and well integrated. The purity of the Shiraz grape is highlighted due to the minimal use of oak allowing the essence of the fruit to be tasted. This is a wine offering excellent immediate drinking with some cellar potential in the short term.